WJB provides Rockauto`s loyal customers a special 10% off rebate on the whole line of WJB Wheel Hubs, Bearings or Seals for the whole March. 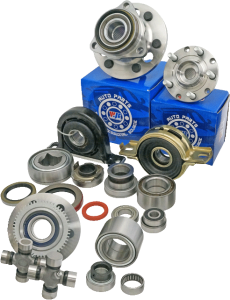 WJB is a company founded in California in 1992 with a main focus on automotive and bearing industrial markets. Since the beginning, the brand has created a high technical competence level and is now seen as a leading company. WJB is rapidly becoming a standard in the automotive field and continues making contributions in the entire industry with broader product selections and products of high quality. – Read more! WJB offers unique design solutions in terms of complex issues as well as a level of service and unparalleled quality. WJB is providing the loyal customers of RockAuto a 10% off rebate on the whole line of wheel hubs, bearings or seals until the end of March 2018. No matter if you are in the search of Wheel Seals for a 2002 Chevrolet, a 2014 Toyota 4Runner or Wheel Bearings for your 2007 BMW 325i, RockAuto has what you require from WJB. In order to see the available pats for your car, visit the RockAuto online catalog and make a click on the “Brake & Wheel Hub” button. You should really try and benefit of this instant rebate offered by WJB during the entire month of March. Have you heard of CARDONE, the remanufactured auto parts leader that aims to be the best remanufacturer on the planet? CARDONE was co-founded by Michael Cardone Sr. and Michael Cardone Jr. in North Philadelphia in 1970. They dealt with one single thing – remanufacturing one single product line, which was windshield wiper motors. In time, the brand has developed, now providing more than 90 product lines and 46.000 SKUs of auto hard parts. CARDONE “thinks” the quality of its productions along with its services represents the most essential issue to its clients, thus quality being the foundation of the company`s corporate culture. The brand will aim to produce products as well as services which meet client requirements each time on time. CARDONE has developed Servant Leadership, a way of life which influences and encourages people to try and serve other before serving their own. It`s a way to develop as well as pursue excellence in each area of life on a personal level. It`s all about serving the necessities of other fast and effectively while treating them with dignity, respect, integrity and honor. Visit this web page and enter the CARDONE How Rod Giveaway for a chance to win a `66 Chevelle, the car that isn`t only an American classic, but also the embodiment of innovation and legacy. You may be able to win a `66 Chevelle that has been restored and reimagined by Swag Customer Rides remanufactured auto parts from CARDONE, and powered by an ethanol 383 stroker engine and is eco-friendly. The very existence of this `66 Chevelle proves the values of creative engineering of CARDONE, its environmental responsibility and rich partnerships. If you`ll enter this giveaway, you may be eligible to win 1 of the company`s monthly prizes – a mini fridge. Entering this awesome chance is just as simple as purchasing an auto part. You get 1 entry per Cardone auto part you choose to purchase, making it very easy to own your own remastered American muscle classic. Every month, the company will accept up to 20 entries – 1 of each A1 CARDONE, CARDONE Select as well as CARDONE Ultra part you purchase at an online retailer or your local shop. This giveaway was made possible through the partnership of CARDONE & Swag Custom Rides 1966. Enter the Tech Video contest! Attend a training of CARDONE! We have great news! The AVS Vent Visor & Hood Shield rebate is here due to a great new partnership between RockAuto and AVS. AVS manufactures some of the most affordable and stylish accessories for vans, trucks, passenger cars or SUVs. Its items are sold through various warehouse distributors, online or national retailers. The line of products includes exterior accessories vent visors window deflectors, side window deflectors, light covers or hood shields. If you choose to take part to this rebate, you`ll be able to claim a $25 prepaid VISA card with the order of both AVS Hood Shield and AVS Ventivisor in one single order transaction. The rebate is available until 31 March 2017. Buy 1 each of an AVS Hood Shield and AVS Ventvisor until 31 March 2017. You need to buy both items to be eligible for this rebate. Any part number that end with the “B” letter won`t be included. Get rid of the 12-digit UPC barcode that can be found on the item packaging and tape it to this particular online form. If you have another person installing the item, be certain you`ll be cutting out and retaining your UPC label from the item carton. You need to include an online order confirmation that will detail the order date, quantity, price paid and qualifying item description, or photocopy of your register receipt. Packing slips are accepted online if attached to order proof, having the order price circled. Any requests with no UPC barcodes won`t be taken into consideration. A photocopy of the order purchase having the order price listed or register receipt. All items circled on the order proof. If you arrived to this post, you are probably one of those customers who aren`t too impressed about RockAuto and are looking for other options in terms of cheap auto parts. Well, you come to the right place – we have some options for you. There are many online auto retailers out there that may be a good fit for your needs, but we chosen what we thought to be the best 3 options. Established over 20 years ago, Auto Parts Warehouse is seen as one the top companies in terms of online orders of auto parts in the U.S. The website has over 2.000.000 visitors each month on average. 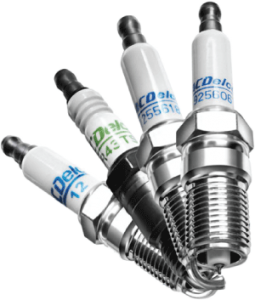 The online web store has a very comprehensive catalog list of more than 500.000 parts or accessories from top manufacturers both domestic and foreign. But this isn`t even the best part! The best part is the unbelievable rates customers can benefit from – up to 70% of retail prices. Free Shipping on orders over $50 + 5% Back in APW Rewards. Tonno Pro – Holiday Deals – Save up to $30 + Free Gifts. Eibach – Pro-Truck $50 Shock Rebate. Pro Comp – Save up to $50 by Mail on Select Sets of 4 Pro Comp Wheels. Green Monday Week-Long Sale – 50% off on Parts & Accessories + Double Points. Ever since the company started in 1983, Discount Auto Parts was serving all its loyal clients from the entire world. From Zurich to Anchorage, the brand`s customers contact them not only for their exceptional quality of their items, but also for their superior service. The company is proud to count on reliable U.S. servicewomen and men who can deliver auto parts to customers stationed all over the globe on a daily basis. Free Shipping on Order over $49 – Enter Coupon Code: 007. Save 10% on Online Order – Use Coupon Code: XMAS. Car Parts is seen as one of the most trust-worthy car parts & accessories store. The brand has a full selection of quality auto parts for a large range of vehicle models – and they are also provided at the lowest possible prices. This company also has the lead when talking about online shopping with no hassle as its customer service is available 24/7. 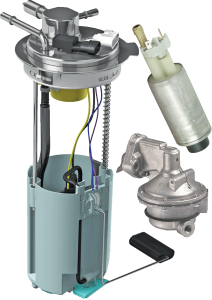 No matter what you need – air filter, alternators, A/C compressors & parts, belts, brake rotors & pads, body mechanical & trim, oxygen sensors, carburetors, ball joints, engine parts or steering items – http://www.carparts.com/ has them all. So, don`t forget! You don`t necessarily need to buy from RockAuto to be a satisfied customer. Any of the above auto retailers is still a good option and you can get a deal just as great as if you would if you would have bought from RockAuto.